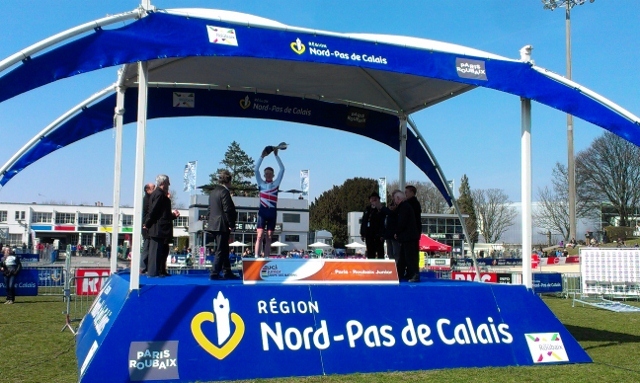 Great Britain placed a rider on the podium of the Junior Paris-Roubaix for the second year in a row thanks to Tao Geoghegan Hart, who finished third behind winner Mads Petersen (Denmark) and Nathan Van Hooydonck (Belgium) after a three man sprint to the line in the Roubaix velodrome. 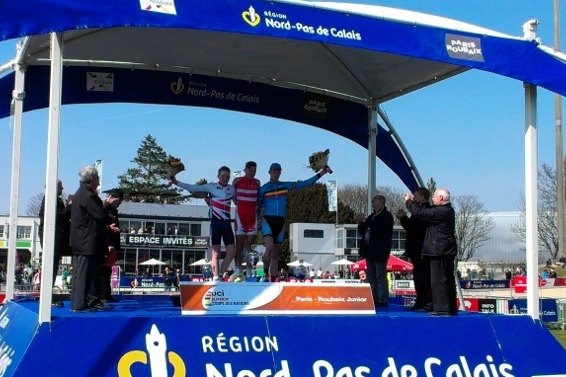 The trio broke free from the peloton on the Carrefour de l’Arbre sector of cobbles during the 119km race, which traces a route through the final 16 cobbled sectors of the senior parcours. 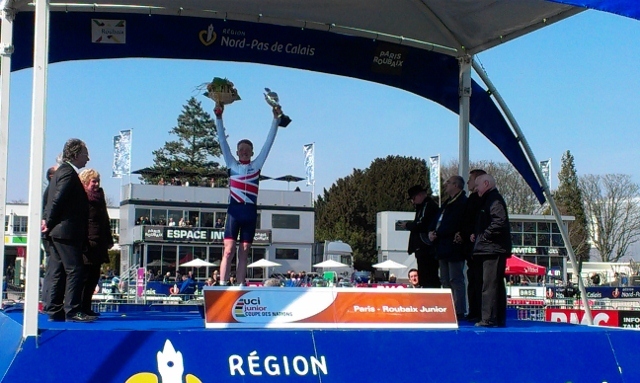 Geoghegan Hart was unable to drop his breakaway companions on the run in to the line, but was ultimately happy with third. 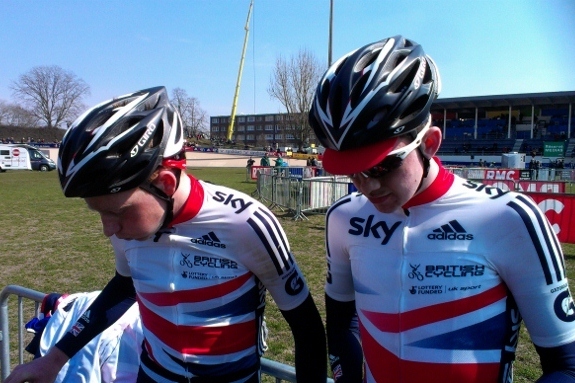 Oliver Wood (sixth), Scott Davies (19th) and Jake Ragan (26th) also made it into the top 30 to give Great Britain second place in the team competition behind Belgium. 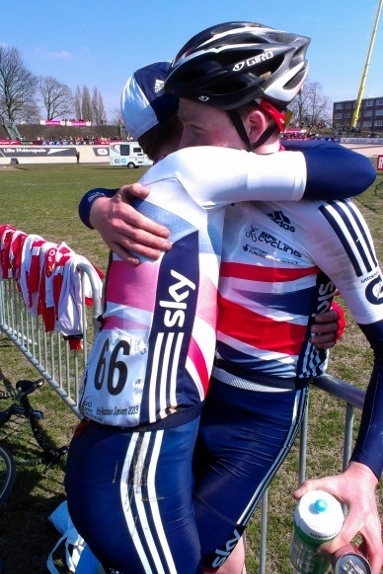 Geoghegan Hart also emulated his friend and former junior Jon Dibben, now with the British Cycling Academy, who placed third behind a Danish rider last year.